DICOM Image Distribution solutions are selected with the strictest criteria. We offer DICOM image distribution solutions in a multitude of sizes to meet and exceed your facilities requirements. These models can burn multiple types of discs (CD/DVD/Blu-Ray) as well as use multiple printing techniques (Inkjet/Thermal). 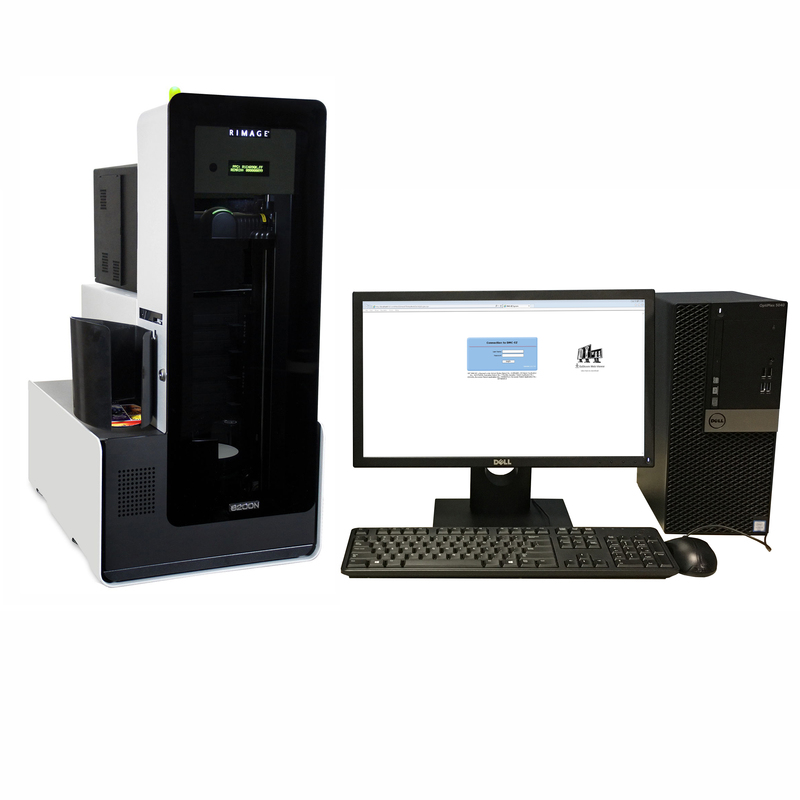 We also offer a multi-function appliance that can deliver studies in the various formats (Physical- CD/DVD-Blu-RAY and Digital- Cloud Delivery) in one solution. Or an Enterprise appliance that provides connection of multiple disc producers for load balancing and easy deployment (Your IT department will love this solution). Or you can host your own standalone DICOM image portal for secure remote study access (Can be incorporated into your patient portal). Powerful hand-picked from the best in the industry, our burners are the top of the line, and selected with the strictest criteria. Simple, easy to use custom built software interface that is an industry best in user experience and simplicity. Connect and send DICOM studies to anyone through connected burner systems or secure encrypted cloud application. Interface is easy to use, browser-based user interface makes for a pure experience, along with local language support all designed in cooperation with leading practitioners. 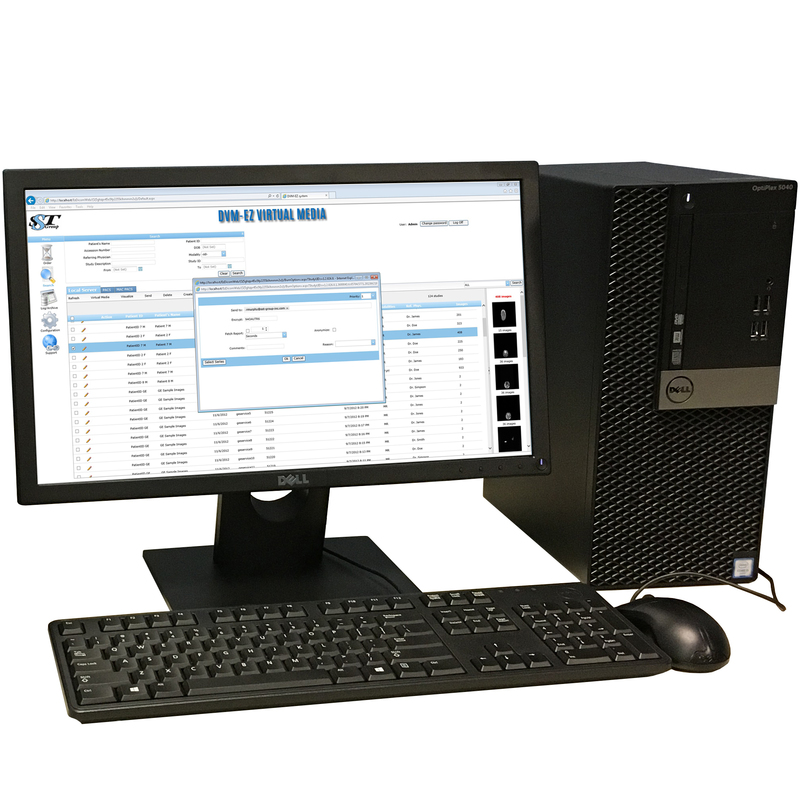 Viewers with DMC-EZ systems include a series of industry standard DICOM viewers for clients without their own DICOM viewing software. Reports can fetch from most PACS, PACS Broker and RIS utilizing SR/HL7 or custom interfaces. 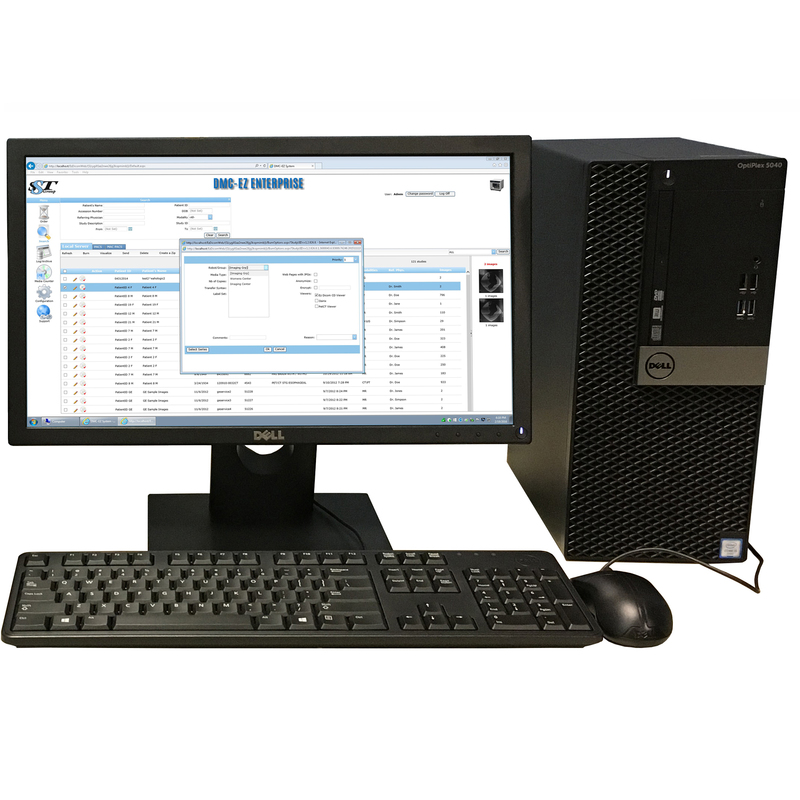 Labeling on DMC-EZ medical recording software allows for generation of unique and customizable labels including logos, patient demographics, volume and study information. Anonymization on all DMC-EZ models ensure patient confidentiality of images used in instructional and conference presentations. 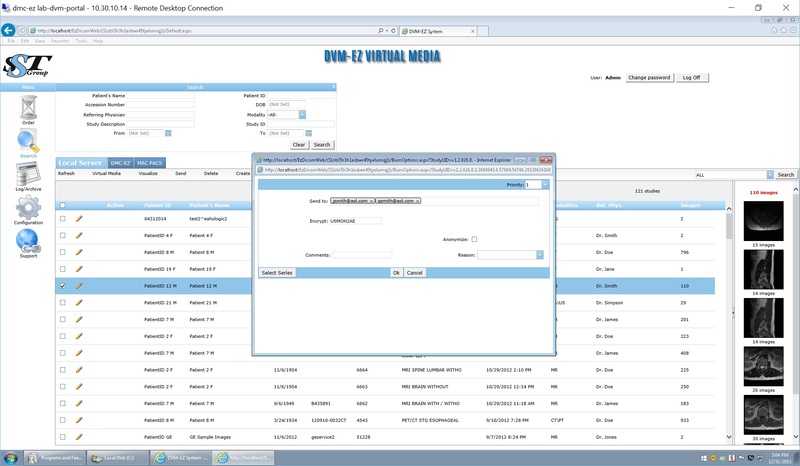 Scheduling on DMC-EZ systems supports multiple AE titles and is capable of rule-based scheduling automated disc burning to automate workflow. Built-in web viewers and servers allow practitioners to view studies and reports in seconds. Reference viewers provides a complete set of radiology measurement tools. Encryption on DMC-EZ software provides the option to encrypt all data on the disc, which is necessary for stringent privacy compliance. User login support for active directory (LDAP) as well as multiple languages supported in interface and viewers. (English, French, Italian, Portuguese, Spanish). Small volume systems like clinics, small imaging centers and hospitals can utilize the DMC-EZ 55. 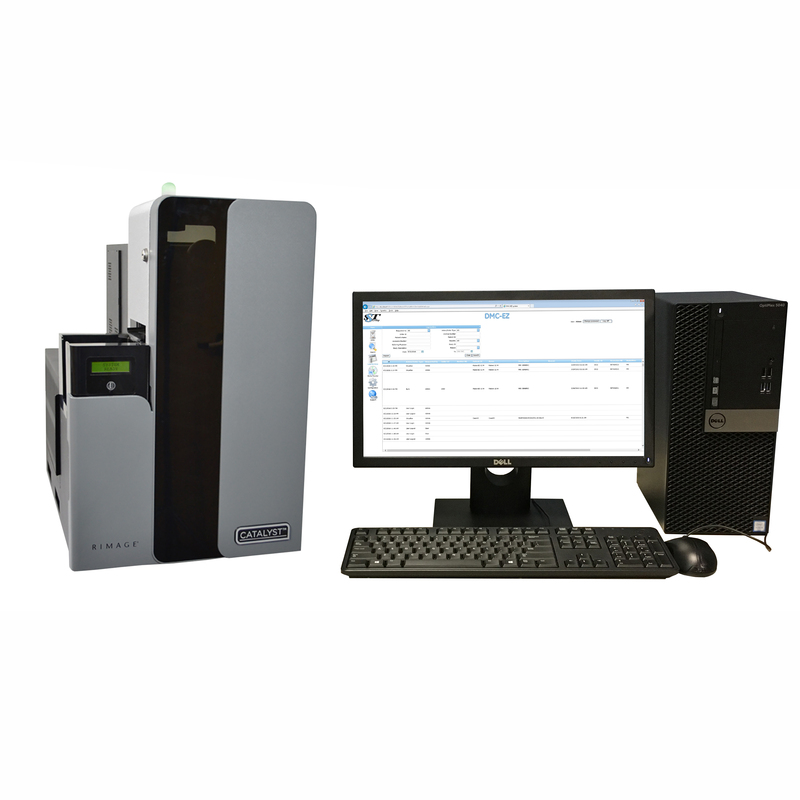 Single CD/DVD recorder on the DMC-EZ 55 is a high performance recorder/inkjet printer solution with CD or DVD production in the Primera Bravo® SE3. Speed capability on the DMC-EZ 55 is a disc output speed of 20 full discs per hour, with a bin capacity of 20 discs. Moderate volume systems like clinics, small and medium imaging centers and hospitals can utilize the DMC-EZ 250. Dual CD/DVD recorder on the DMC-EZ 250 uses a dual recorder/inkjet printer solution with CD and DVD production in the Epson PP-100i Printer. Speed capability on the DMC-EZ 250 has a disc output speed of 30 full discs per hour, with a bin capacity of 100 discs. 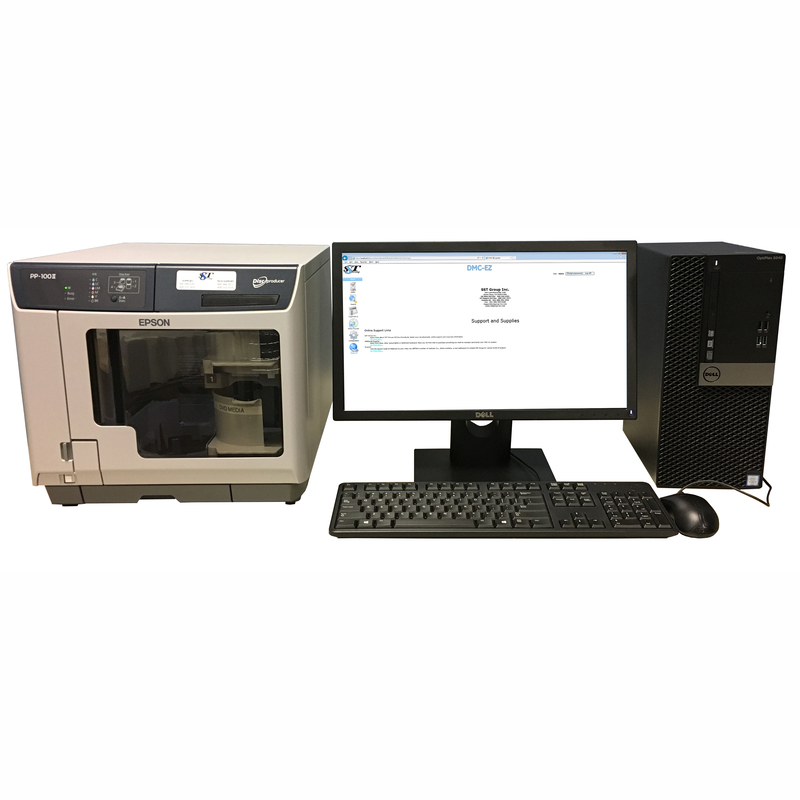 Moderate volume systems like clinics, small and medium imaging centers and hospitals can utilize the DMC-EZ 575. Dual CD/DVD recorders on the DMC-EZ 575 uses a dual recorder/inkjet printer solution with CD and DVD production in the Primera Bravo 4202 Printer. Speed capability on the DMC-EZ 575 has a disc output speed is 30 full discs per hour, with a bin capacity of 100 discs. Moderate volume system like clinics, medium and large imaging centers and hospitals can utilize the DMC-EZ 3600. 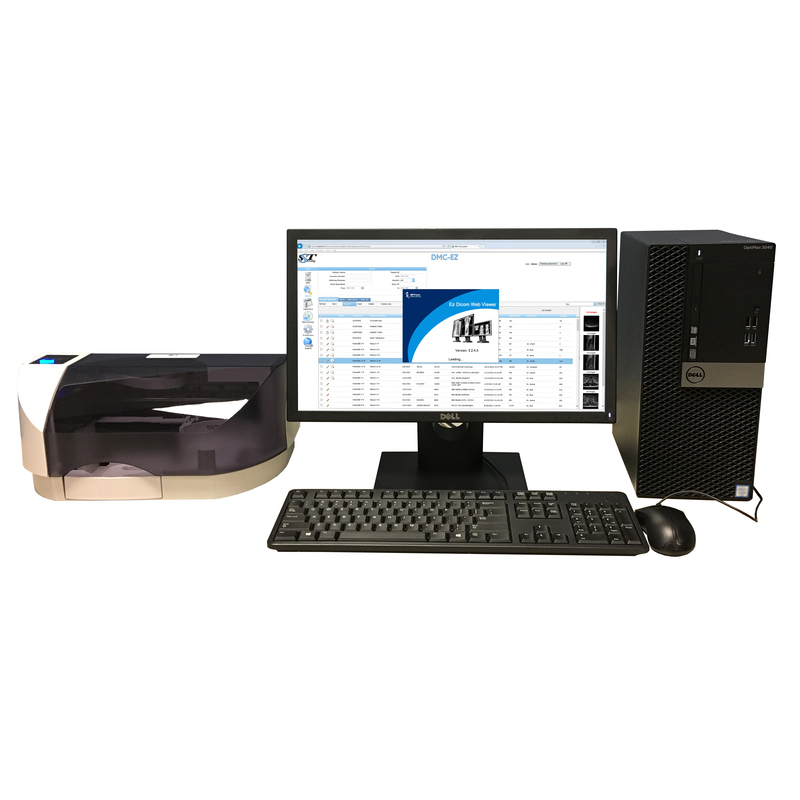 Dual CD/DVD recorder on the DMC-EZ 3600 uses a high performance dual recorder robot utilizing an Everest™ 600 Thermal Retransfer Printer for higher volume CD and DVD production with the highest quality printing. Speed capability on the DMC-EZ 3600 has a disc output speed of 30 full discs per hour, with a bin capacity of 150 discs. High volume systems like clinics, medium and large imaging centers and hospitals can utilize the DMC-EZ 8500. 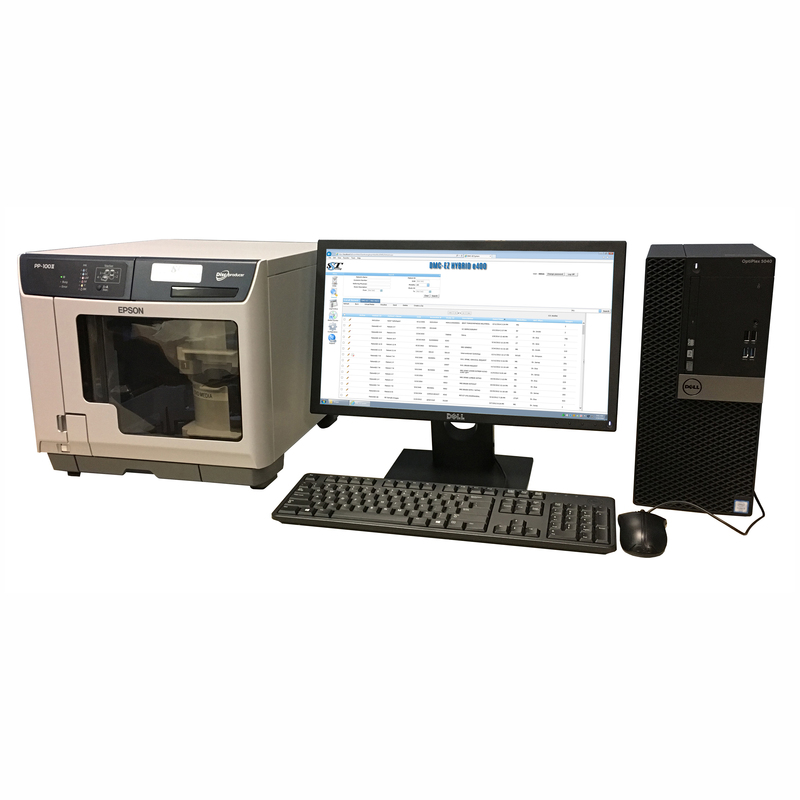 Four CD/DVD recorders on the DMC-EZ 8500 uses a four recorder/600 dpi printing solution providing CD and DVD production capabilities using a Rimage 8200N Medical Disc Publishing System. It supports manual and automated disc creation and labeling. Speed capability on the DMC-EZ 8500 has a disc output speed of 50 full discs per hour, with a bin capacity of 400 discs. 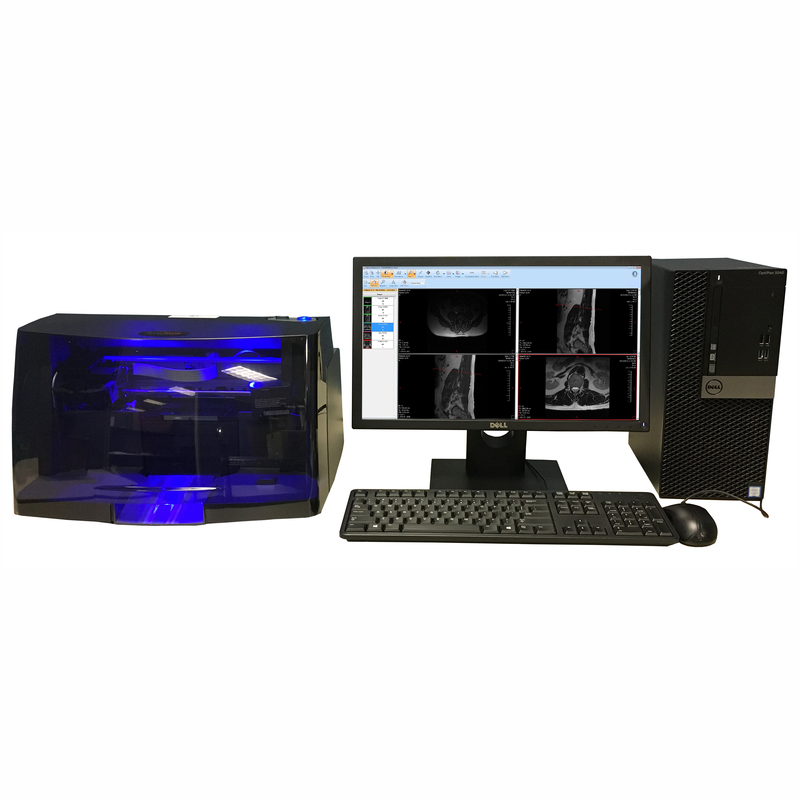 Multi-function appliance gives healthcare facilities ability to deliver DICOM images in a multitude of formats. User interface, browser-based window allows medical professionals to operate and control DICOM image delivery from any workstation. Simple security accomplished through electronic delivery with no sign-up, per study fees or account setup needed. Single server solution gives healthcare facilities ability to deploy multiple burner locations with just a power outlet and network drop. Full control in a single interface for PACS can control up to ten disc producers for load balancing and workflow flexibility. 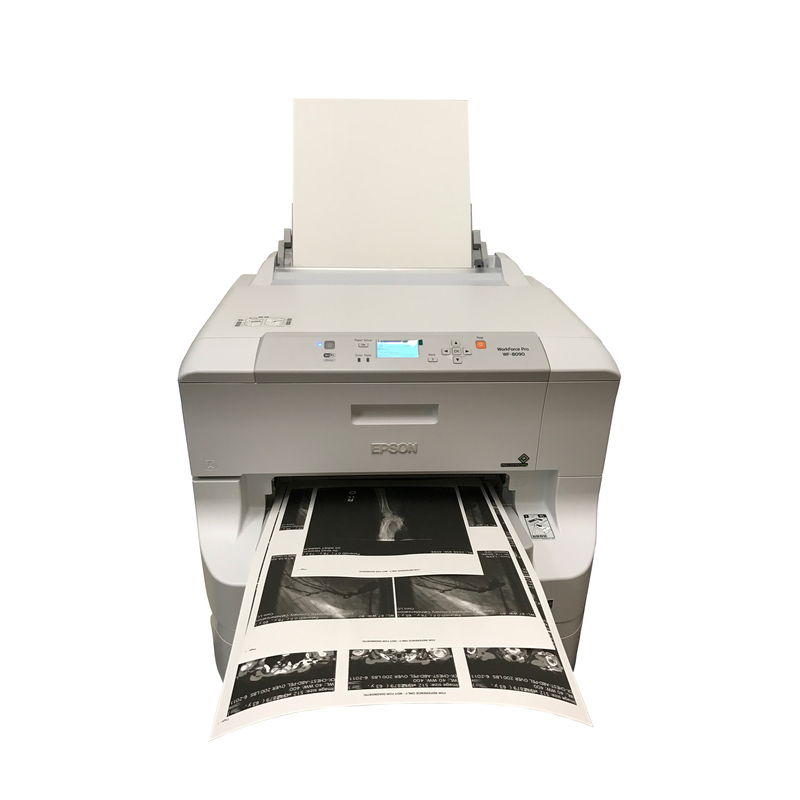 DMC-EZ DICOM Printer functions as a DICOM print server and enables you to send images/studies via DICOM Print to bundled Epson WP-8090 large format inkjet printer. DMC-EZ DICOM Printer™ is a complete solution which makes it easy to output images directly to paper, replacing expensive film. A cost-effective way for your institution to provide reference hard copies of studies to your patients and referring physicians. Our cloud-based solutions provide your facility with a simple, fast and secure way to get DICOM images to your patients, referring physicians and other facilities through electronic delivery and remote access. Electronic delivery of selected studies sent to referring physicians, patients or other medical facilities are password-protected and delivered as quickly as an email. Full encryption of all studies sent over SSL to a 256-Bit AES storage facility with instructions to download with full viewer capabilities. Remote access provides completely controlled remote access to referring physicians, patients of other users via any Windows-based browser. Self-hosted at your facility for added security and immediate access.